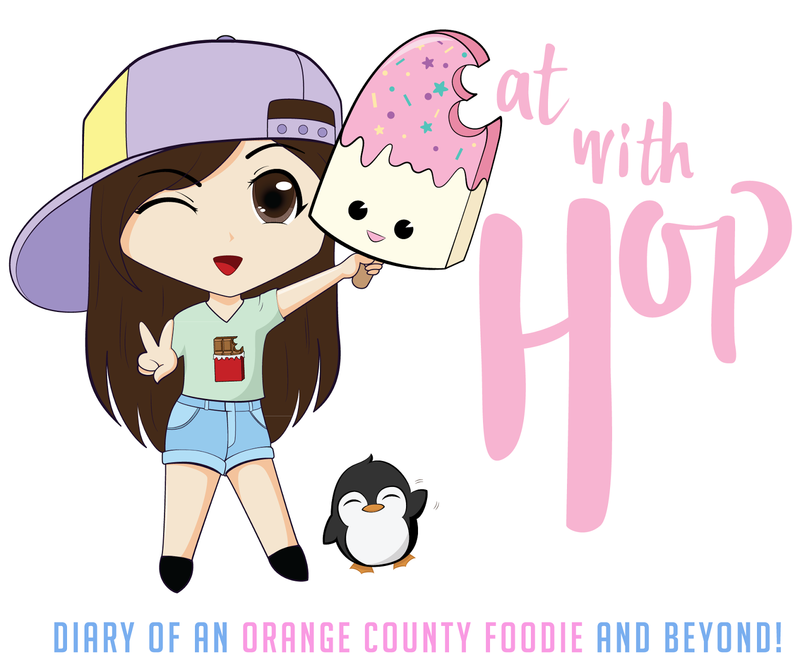 CLASS 302 INTRODUCES FIRST SELF-SERVE BOBA SHOP IN OC - IRVINE - EAT WITH HOP! IS IT YOGURTLAND? OF COURSE NOT! IT'S SELF SERVE TEA!! STEP ONE: BUY THE CUP! AND HAVE TWO FRIENDS PHOTOBOMB THE PHOTO YOU'RE TAKING OF IT! SO MANY ADD-ONS !! GET AS MUCH AS YOU WANT! THEY ONLY CHARGE BY THE CUP! GET THE ADD-ONS YOU WANT! TO MAKE IT VERY CLEAR THAT THIS PLACE IS CASH ONLY, THEY HAVE A HUUUUUUUUUUGE GIGANTIC SIGN THAT MAKES IT KIND OF IMPOSSIBLE FOR CUSTOMERS TO OVERLOOK THAT SAYS "CASH ONLY". I WOULD LIKE EVERYONE'S ATTENTION RIGHT NOW TO BE FOCUSING ON MY CUTE BUNNY T-SHIRT THAT MY FRIEND LINDA GOT FOR ME FROM THE UNITED KINGDOM. IT SAYS "YOU MAKE ME HOPPY"! ISN'T IT THE CUTEST SHIRT EVER? ESPECIALLY SINCE HOPPY IS MY NICKNAME AND MY NAME IS ACTUALLY HOP....LOVEEE THE SHIRT! THESE TWO, KEVIN AND MONIQUE, KEPT PHOTOBOMBING MY PHOTOS! THIS IS THE RESULT OF ADDICTION! I WENT AGAIN YESTERDAY WITH MY FRIEND NANCY AND WE WENT CRAAAZY! BOTH DRINKS WERE FREAKIN AWESOME. GLAD I DIDN'T MIX FLAVORS! 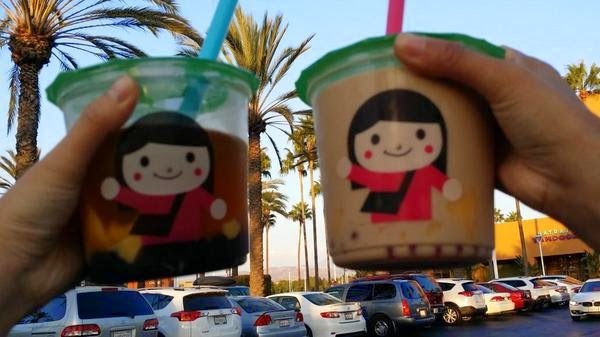 This is not the first self-serve boba shop in the world but it is the first in Orange County. Thank you CLASS 302 for basically making my dream come true of mixing tea and flavors together and just allowing me to be creative (results may vary and drink at your own risk). First you buy the cup! You can choose to buy either the small or large size (both are pretty huge already). the small is $4.50 and the large is $5.50 so just a $1 different to be creative! they will provide you with some sample cups and you can pull down the levers (just like Yogurtland) to pour the delicious tea or slushie into your cup! After you've found what you like, create your drink! The creations are basically endless but be careful because this is a drink after all and mixing too much can result in a disastrous drink. IMPORTANT! I RECOMMEND THAT YOU PUT IN THE ADD-ONS FIRST! then after that, put in however much ice you want! This is the part that I love because at most places, the drinks come with way too much ice. So here, you have the freedom to put what you prefer! Finally, after you have created your drink, REMEMBER TO SEAL IT! this means that you have to carry that (most likely overfilled) drink you just created back in line as carefully as you can as to not to spill. When it's your turn, just ask them to seal it! When sealed, the workers will hand over your straw and just poke it and sip away! Isn't that a neat idea? It got pretty crowded when Kev and I came today so wading through the crowd of people trying not to spill my drink was a bit difficult but a worth-it task. The floors will be sticky so be careful! It's soft opening right now and they're are hiring (anyone looking for a job?). Aside from the self serve boba station, Class 302 also serves Taiwanese food and shaved snow. I reaaaaaaaally like their shaved snow by the way, especially the green tea shaved snow with rice balls. YUM! It is shaved thick here so the flavor is apparent. I think this place would be cute for a date because the restaurant has a cute classroom theme to it. However, the service is pretty standard like all the other Class 302 locations being not too friendly and having that busy vibe. My friend mentioned about how she has been to a self-serve boba store in San Francisco and told me that there is a line on the cup to signify the limit of add-ons/toppings to your drink. When I heard about this I was a bit confused but eventually realized what she meant. I was confused because this limit she mentioned does not even exist at Class 302. That's right! Just to better clarify: there is no limit on what you put in your cup as long as it fits. You do not get charged extra if you only get toppings/add-ons in your cup. Seriously. I actually saw people fill their cup with only add-ons/toppings without any liquid. As long as you can seal the cup it's A-OKAY! This place is neat a must visit at least once! It's self -serve! When it's crowded, it may take forever for you to get to the drink you want because you'd have to wait. You can put whatever you want in it and it's only charged by the cup size! unsweetened green tea, jasmine tea, black tea, etc. The taste of the tea is aiiiiiiiiiiiight. It tastes a bit "sticky" to me and can be too sweet. It's also probably not the freshest either because it's kept out at the stations but they ARE heated / iced! There are hot and cold drinks so when you pull down that lever, be careful for either or! If you know what you want and what combo is good, then you're drink will be awesome! BE CAREFUL OF YOUR COMBO. DON'T GO TOO CRAZY BECAUSE IT MIGHT NOT TASTE GOOD! I KNOW RIGHT!? It's pretty cool and there's no limit on how much you can put in your cup as long as it fits ! !